The busier people get, the more they value convenience when shopping. The market has responded to this demand. The era of convenient shopping started with individual brand’s websites and multi-brand shopping platforms like Amazon and Ebay. Spending hours browsing online for a new pair of boots or a last-minute gift is a luxury of time that few can afford. Real-life personal shopping assistants can help shoppers to efficiently compare prices and find the best deal. But why not use the technology instead of looking for a full-time employee? Personal shopping assistant apps are taking over the mobile app market and we at Yalantis know exactly why. Why develop a shopping assistant app? 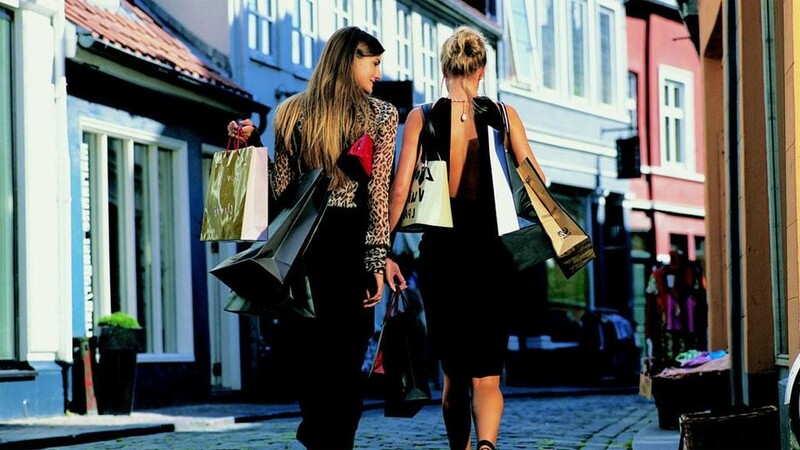 There are several major reasons why people choose to use personal shopping assistant apps. First, a shopping assistant saves time. More and more people are too busy to be spending hours browsing through the aisles in search of that ideal bag or a dress for a white-tie event. Using personal shopping assistant apps also helps users save money by cutting down on impulse buys and ensuring that they get the best deal available. The third reason why users like personal shopping assistant apps is because they can get tailored product recommendations that are powered by cutting-edge algorithms mixed with human expertise. While it’s pretty obvious that shopping assistant apps provide benefits to users, app developers can also profit from these products. A lot of shopping assistant apps are actually free for users. So how do companies make money? There are two common strategies: earning with the help of ads and receiving kickbacks every time somebody buys something from the brand/store. How do shopping assistant apps work? Those powered by data intelligence and human insight. There are a number of functions that a shopping assistant app can perform just by using a set of algorithms (without human consultation). Price comparison and finding the best deal. A shopping assistant app recognises the product a user is looking for and notifies the user if it is cheaper in other online stores. They usually use data available from online stores, but sometimes form a partnership with a particular retailer or a department store to get information about all their deals and seasonal discounts or sales. Coupons. Apps automatically provide users with the best coupons for the store they are shopping at before check out. Safety alerts. A shopping app assistant can be integrated with the Consumer Product Safety Commission database. If any product is considered unsafe, it can notify the app’s users. Shopping history. A shopping assistant app can help users keep track of their past purchases and products they looked at. Package tracking. The app can keep track of a user’s shipments from any merchant and inform users about delivery status. How does this happen? Whenever users buy something they get a confirmation of the purchase sent to their email address with a tracking number. The personal shopping assistant app automatically scans a user’s email and picks up all tracking numbers. After that, it's up to the app to keep users informed about delivery status. Mona is one of the best shopping assistant apps for iOS. It combines artificial intelligence, big data, and real people’s expertise. The given app was brought to life by a team of former Amazon employees. Mona’s Co-Founder Orkun Atik emphasizes the importance of research for the development of any app that is powered by artificial intelligence. He admits that the most difficult part of developing their app was taking into consideration hundreds of experiments: finding out what people like and dislike and which goods they prefer over others. Any shopping assistant app requires big samples of data to improve its recommendation systems, and the more data it gets the better performance it will achieve over time. Mona is meant to shift the focus of shopping from the merchandise to the customer by providing highly personalised recommendations. The idea is that the more you use Mona, the better it will work as it learns more about you. At launch, Mona announced integration with 100 sites including a wide range of retailers, among them Amazon, Gilt Groupe, Nordstrom and Barney’s. As a long-term goal the company wants to transform Mona into a third-party marketplace (like Amazon). To make relevant recommendations, Mona requests access to a user’s email, where it looks for e-commerce receipts to learn a person’s styles, preferences, size and other details. Customers are also able to give additional feedback by saying that they do not like something because of the brand, style, color or price. According to reviews on the App Store (so far Mona is not available for Android platform users) users confirm that Mona learns quickly and is able to offer brands and items that correspond to user’s tastes. You should definitely check out our article about personalized recommendations based on mashine learning technology. The only serious disadvantage that users reflected in their reviews was that Mona cannot process payments and always redirects a user to the website of the company whose goods they are buying. The team behind Mona already said that they will work on developing payment functionality within their app. It is possible that Mona will use Braintree or a similar technology that is behind giants like Uber and AirBnb. Check out our article where we compare BrainTree and Stripe, two big names in mobile payment solutions. Customized service. 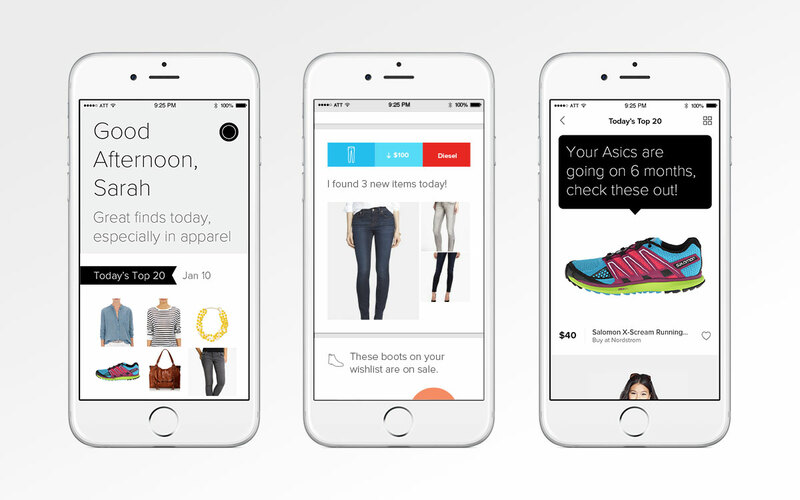 A personal shopping assistant app with an online consultant is personalized. A sense of style and an ability to adjust and surprise is what a lot of people are looking for in shopping assistant apps. Algorithms can hardly come up with an unexpected gift idea or offer a unique combination of clothes to create a gorgeous look. Continuous learning from interactions with the client. It is possible for machines to learn, but human online consultants are much more adept at taking into account an individual’s style and personality, not just basing suggestions on a history of past purchases. Some people argue that using search engines powered only by artificial intelligence is not enough, but that the combination of AI and online consultants is much more convenient and powerful. PS Dept (short for Personal Shopper Department), a shopping assistant app for iPhones, accommodates busy customers by offering access to stores all around the city. The app streamlines the retail experience by combining the personal touch of client relationships with the ease of a slick mobile platform. How does it work? The app uses a human-to-human interaction which is greatly facilitated with the help of mobile technologies. Users send an image and a description of a desired item through the app, and in response get a number of suggestions from a team of online consultants. PS Dept uses personal text and photo messages i.e. messages sent by real humans, not machines – to communicate with users. They do not try to push the purchase on the customer selling something “users did not know they need,” even though this is a popular strategy that has made millions for some shopping apps and online platforms (like Wish). Check out our article about the Wish shopping app. PS Dept chose a different segment of the market and employed technology together with the expertise of top stylists to make sure that the most demanding of clients will be satisfied. People who shop with PS Dept often look for very specific – and often quite expensive – items (though PS Dept is not solely focused on high-end retail). The app has become an iPhone-contained concierge for tracking down items of luxury for those who can appreciate them. 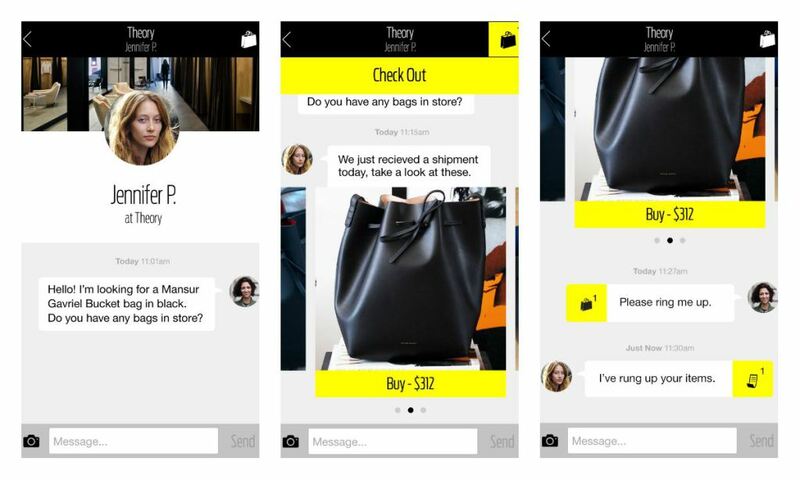 No doubt PS Dept and Mona are just two early apps from an emerging line of personal shopping assistants. Surely we will see many similar apps appearing and evolving over the next few years. Consequently, there will be a lot of demand for developers who work with machine learning systems, big data, and mobile development for e-commerce. And Yalantis might be the company with the experience you need.